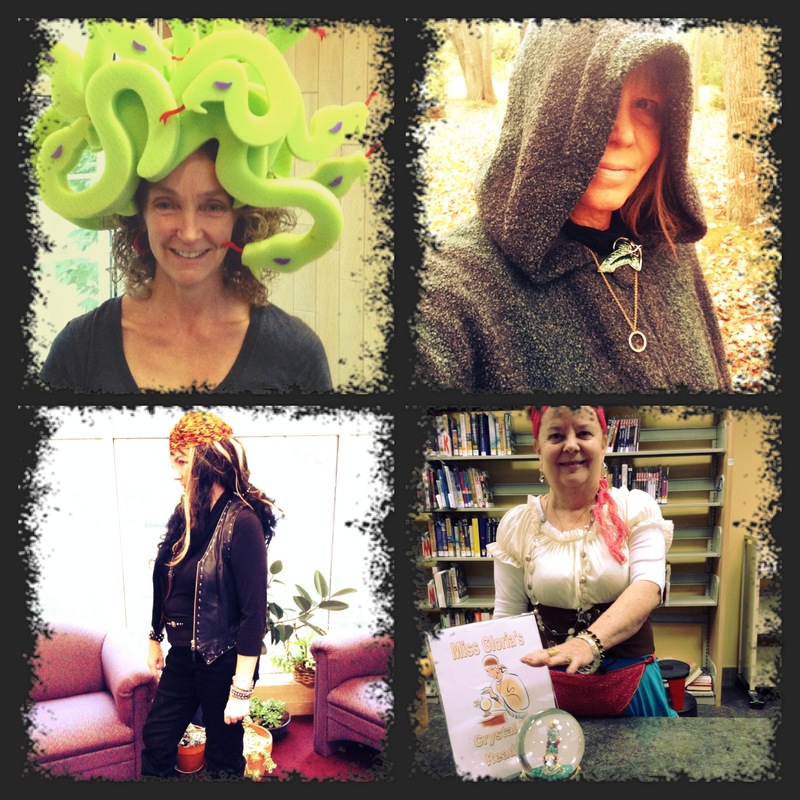 The Jackson Writers Group hosted a book fair Saturday, Nov. 15. 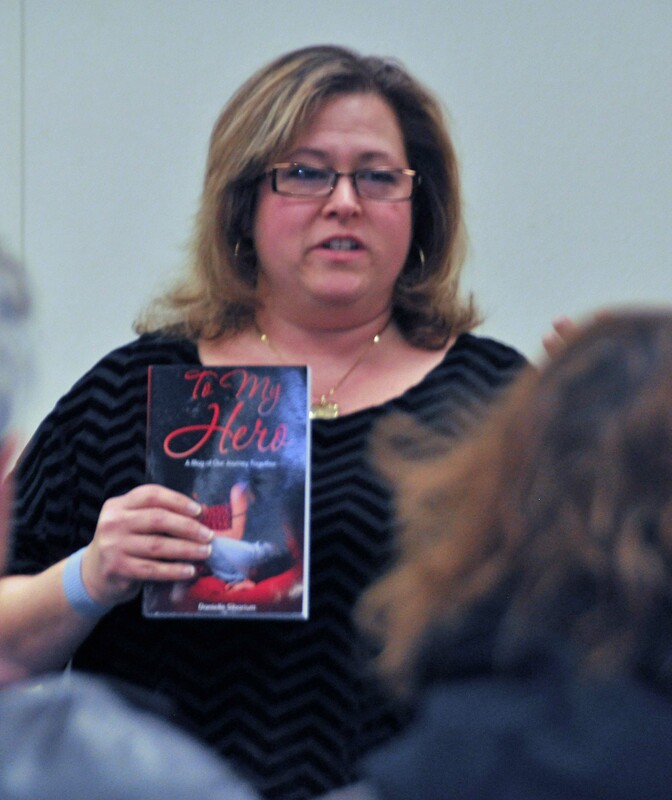 Ten local authors spoke about their books and read a portion from their works. 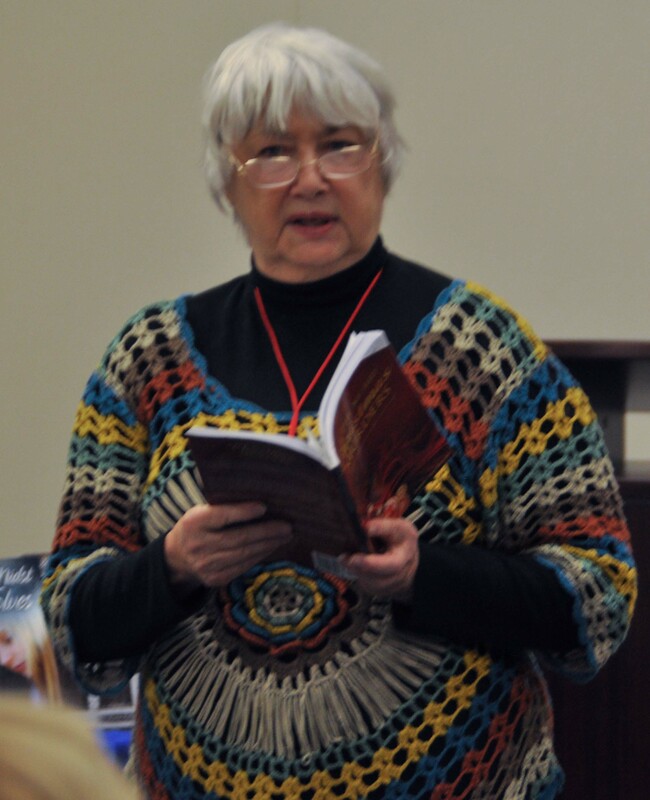 Jackson teacher and author Victoria O’Donnell moderated an interactive history lesson at the Jackson library branch Saturday, Nov. 8. 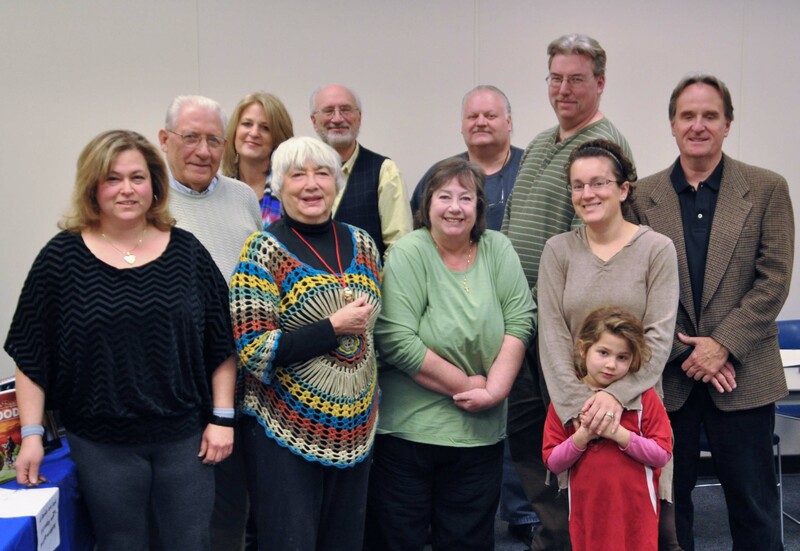 The Jackson branch hosted an interactive history lesson on the township Saturday afternoon. 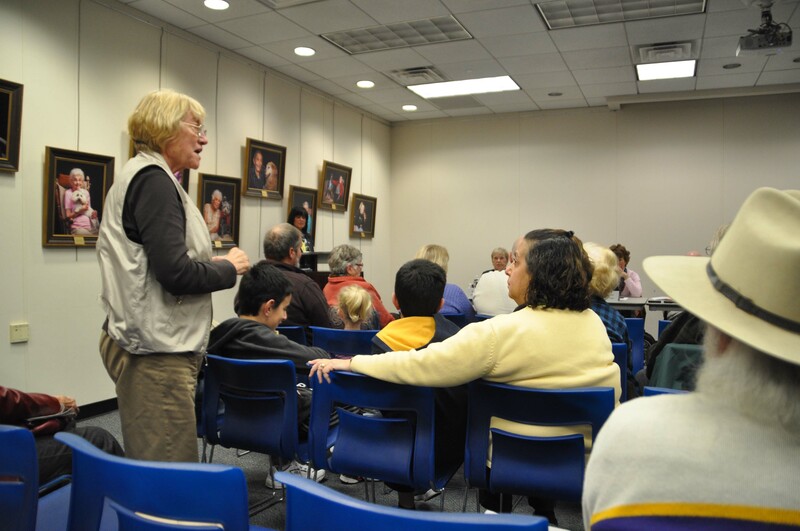 The program was co-sponsored by the Ocean County Historical Society and the Ocean County Library. It was organized by Betsy Dudas, Trustee and Director of the Research Center at OCHS; Principal Librarian Meagan Toohey; and Senior Librarian Jo Anne Morales. 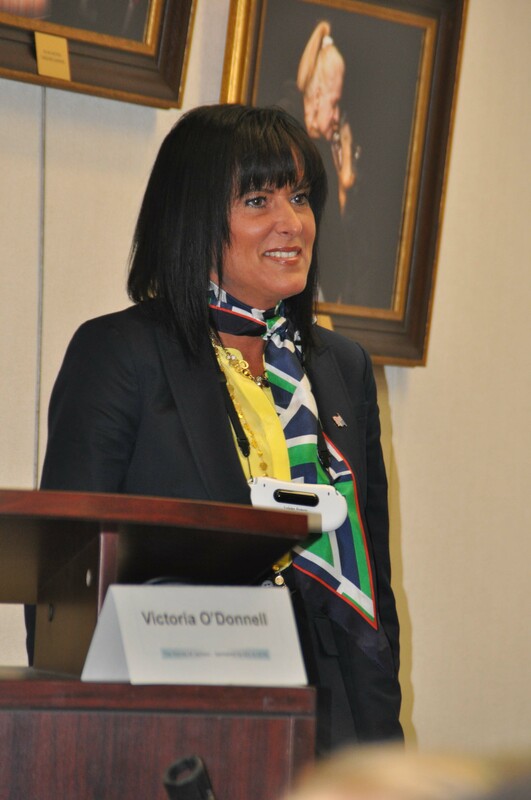 The program included nine panelists and moderator Vickie O’Donnell who is a teacher and chronicler of Jackson history. Panelists included past library commission director Eleanor Hyers, Alexander Golubov, Ann Korzen Richardson, Bill Linke, Nancy Luna, police Lt. John Decker, Danny Black, teacher Walter Reed and Dr. Vincent DeMura, MD. Other panelists shared their unique perspective on growing up in the town and their take on its growth from a small farming community, to a commuter’s bedroom community, to today’s multicultural town. 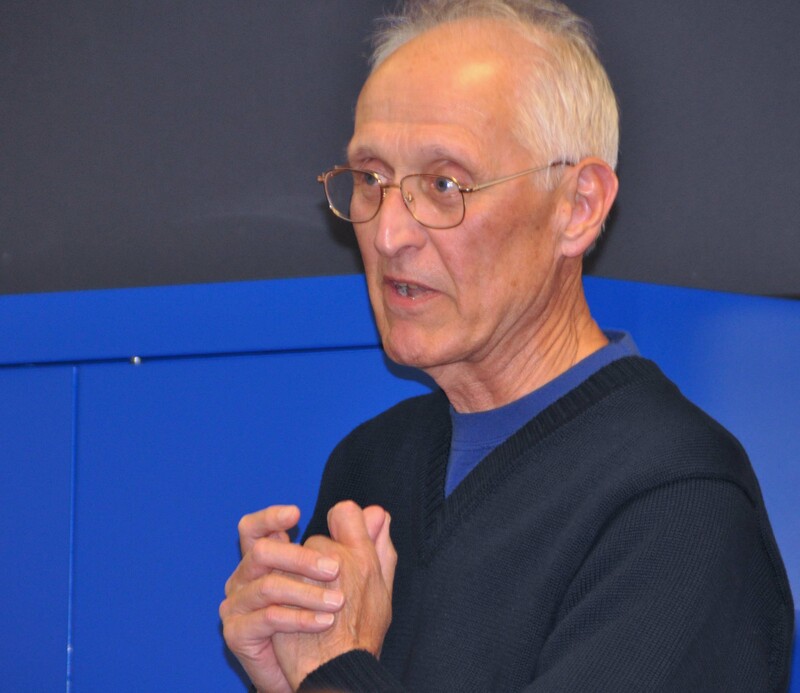 Nearly 50 people attended the program, including the “dean” of Jackson educators Bernie Reider and Betsy Dudas, Trustee and Director of the OCHS Research Center. Mr. Reider (I still call him Mr. Reider, ever since I had him for geometry as a sophomore back in 1967) had worked for the Jackson Board of Education (teacher, principal, administrator) since 1963. He knows just about everybody in town. Other audience members participated by adding their memories of the town including the Great Forest Fire of 1963 and the national importance of the Russian-community vacation spot Rova Farms which was THE social and dining spot for Jackson residents. The Q&A session that followed the panel discussion allowed the 50 attendees a chance to share their memories of Jackson history. Bernie Reider, the “dean” of Jackson educators, spoke of his 51 years in Jackson educating thousands of its children. 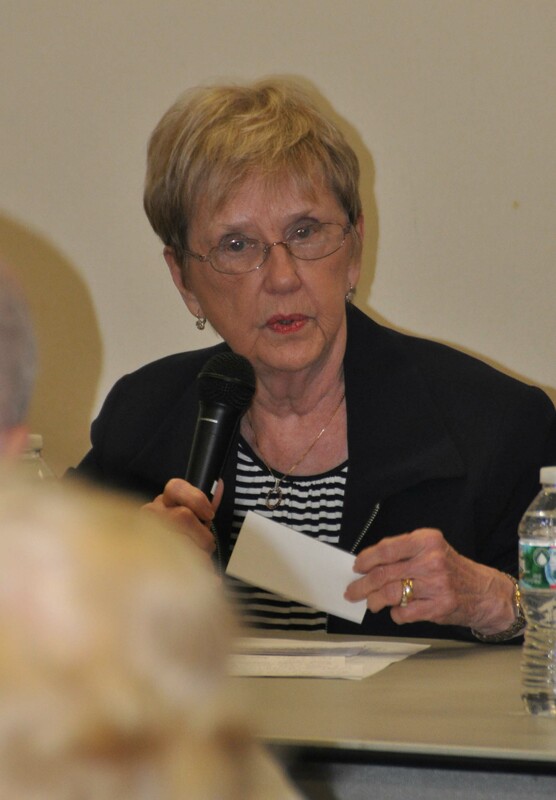 Eleanor Hyers, past Chair of the Ocean County Library Commission, spoke about growing up in Jackson. Dan Black was born and raised in Jackson. 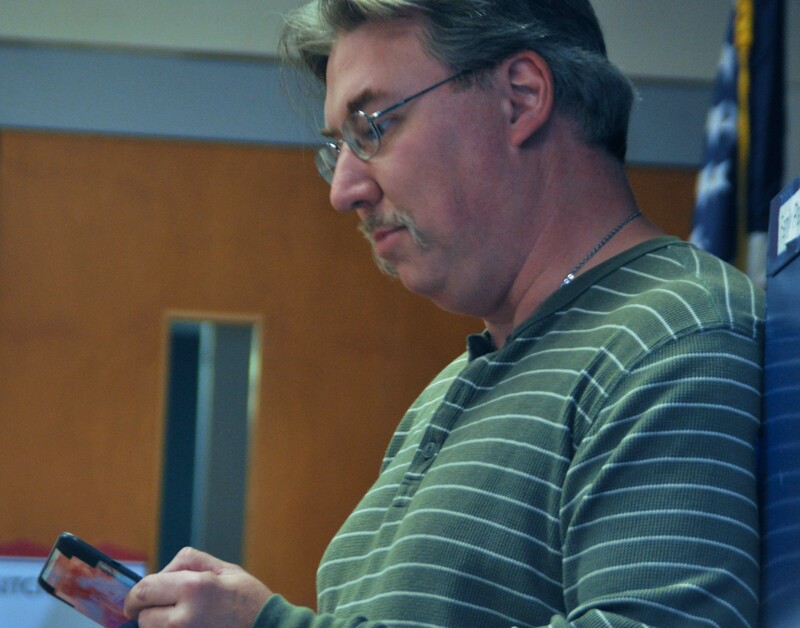 Dan has guided several authors, including Vickie O’Donnell and the late Karen Riley, to several historic sites in the township. 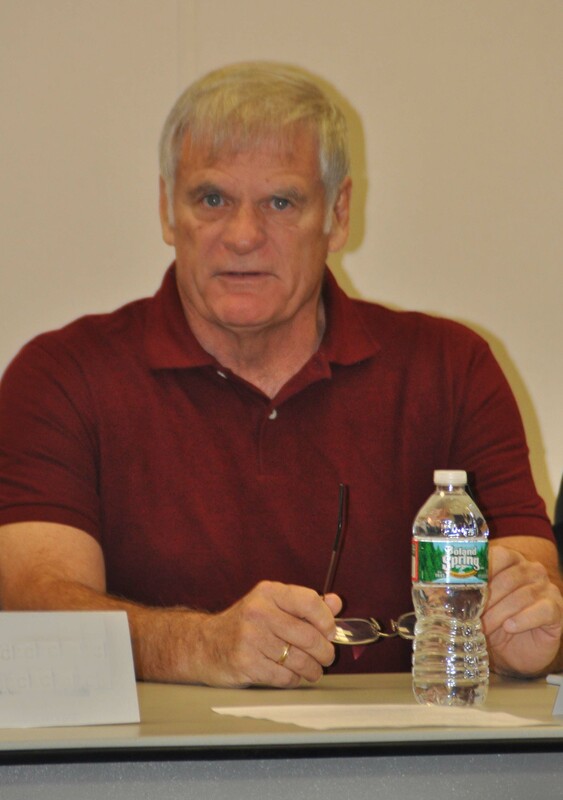 Dan also served as the town’s youngest mayor in the 1970s and confronted the state DEP when it attempted to dump truck loads of radon-contaminated soil onto Colliers Mills property. The state trucks left without dumping the soil. 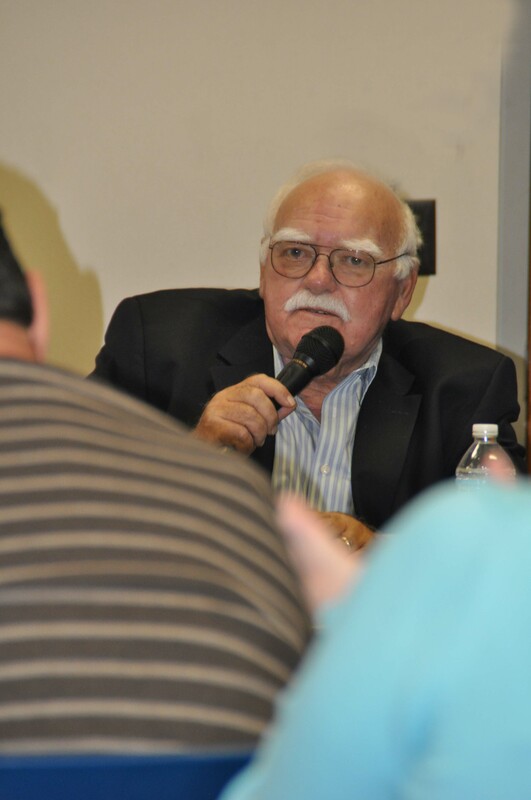 Educator Walter Reed spoke about the history of the Jackson school system. He remains deeply involved in the community and is the Chair of the Jackson Alumni Hall of Fame, raising funds for high school graduate scholarships. 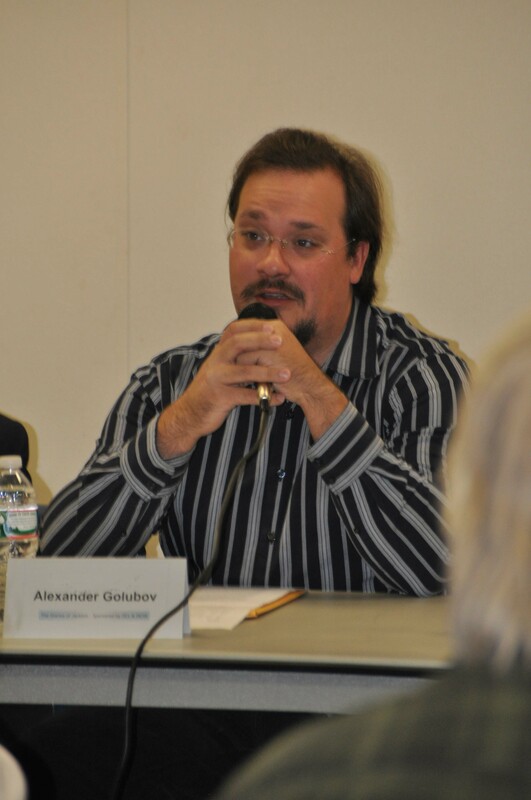 Alex Golubov spoke about the Russian-community vacation spot Rova Farms in the Cassville section of Jackson. 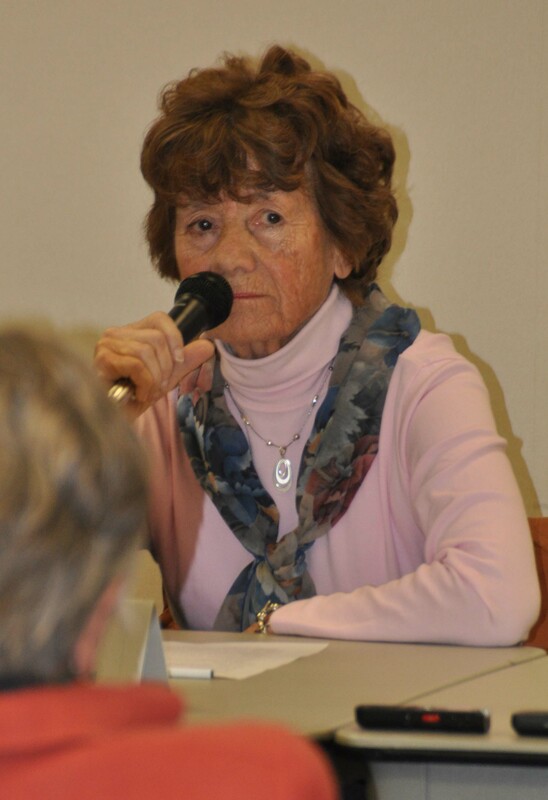 Ann Korzen Richardson spoke about growing up in the Van Hiseville section of Jackson. 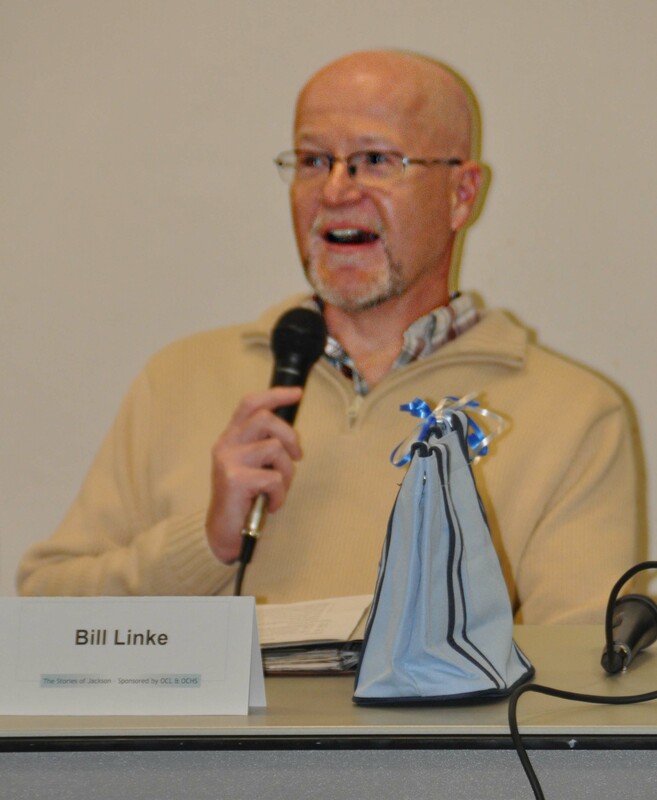 Bill Linke spoke about Jamison’s General Store & Post Office in the Van Hiseville section of Jackson. 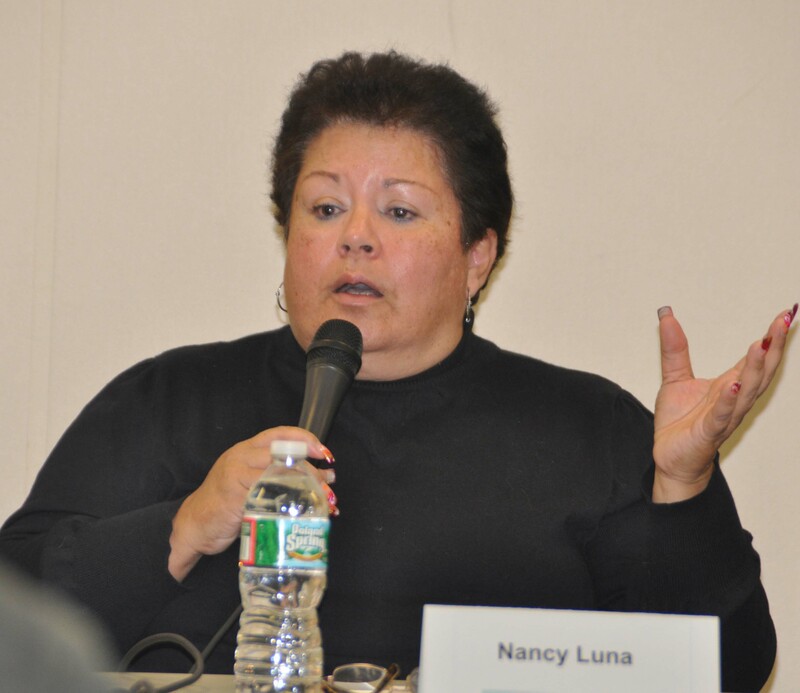 Nancy Luna spoke about growing up in Jackson’s Hispanic community and the Luna Market that was owned by her family. 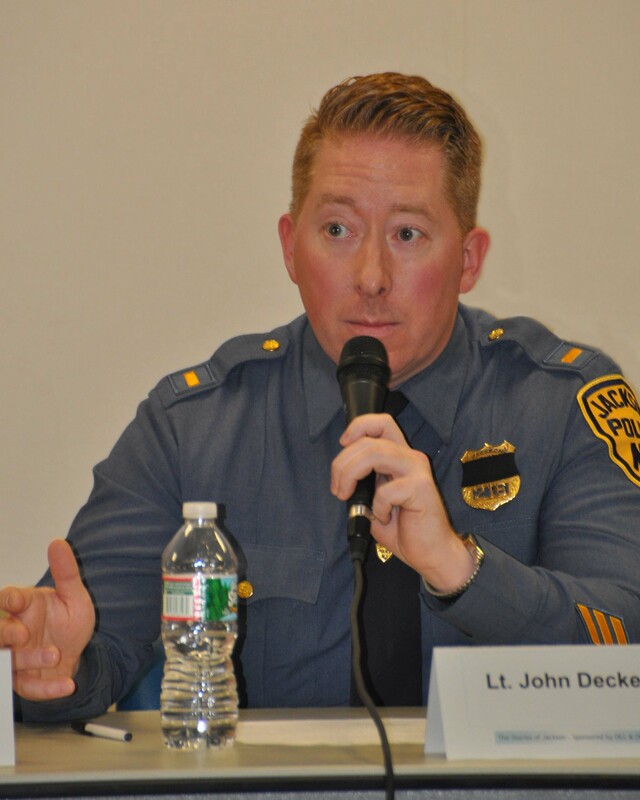 Police Lt. John Decker spoke about the history of Jackson’s police department from the time it was patrolled by NJ State Police, to its first three paid police officers, to today’s force of about 80 members. TAB (Teen Advisory Board) member Herbert Kaszimir, 14, Barnegat, at left joins S.A.I.L. (Service and Achievement in the Library) Coordinator Alberto Torres, 19, Barnegat in moderating a forum that focused on Star Trek and Star Wars on Aug. 21 at the Barnegat Branch. 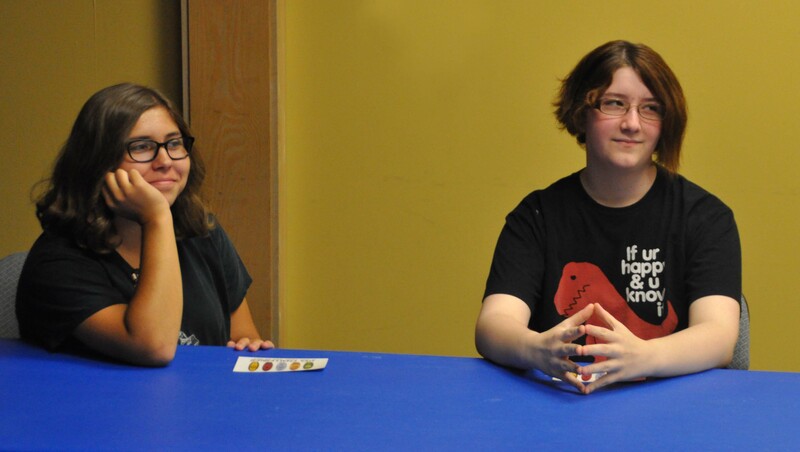 While there was no definitive answer during the teen program held at the Barnegat Branch, those involved seemed to enjoy exploring the question. S.A.I.L. (Service and Achievement in the Library) Coordinator Alberto Torres, 19, and TAB (Teen Advisory Board) member Herbert Kaszimir, 14, both of Barnegat, moderated the forum that focused on the two famous science fiction franchises. Daniel Marchena, 11, and Ethan Applegate, 12, are Barnegat residents who frequent the library. They are Star Wars fans. Both were in that corner of the spectrum when it came to what science fiction saga was the best. Allison Truax, 13, and Rachel Vaughn, 14, are Barnegat residents who were steadfast in their view that Star Trek far surpasses Star Wars. “I like Spock,’’ Allison said. Ethan felt the character of Jedi Master Obi Wan Kenobi of Star Wars fame had superior mental powers that surpassed those of Spock the popular Vulcan character from Star Trek. Barnegat Branch Manager Gigi Hayes weighed in on the famous prop weapons of both series, she preferred Star Trek’s phasers over Star Wars light sabers. “A phaser has different settings. It can do more,’’ Hayes said. The debate ended in a draw. It was concluded that both sagas, which exist on film and television in a galaxy, far, far away will undoubtedly live long and prosper. Members of both sides of the issue received prizes such as Star Wars and Star Trek mugs provided by the library. Fans of Whedon’s work are invited to discuss his past and future projects. Registration is required. To register call 609-698-3331 or visit http://www.theoceancountylibrary.org . Allison Truax, 13, of Barnegat, at left, joins Rachel Vaughn, 14, of Barnegat in defending their favorite science fiction saga, Star Trek during a program held at the Barnegat Branch on Aug. 21. Ethan Applegate, 12, Barnegat at left, joins fellow Star Wars fan Daniel Marchena, 11, Barnegat for a forum that debated the issue of which science fiction franchise, Stars Wars or Star Trek was best. 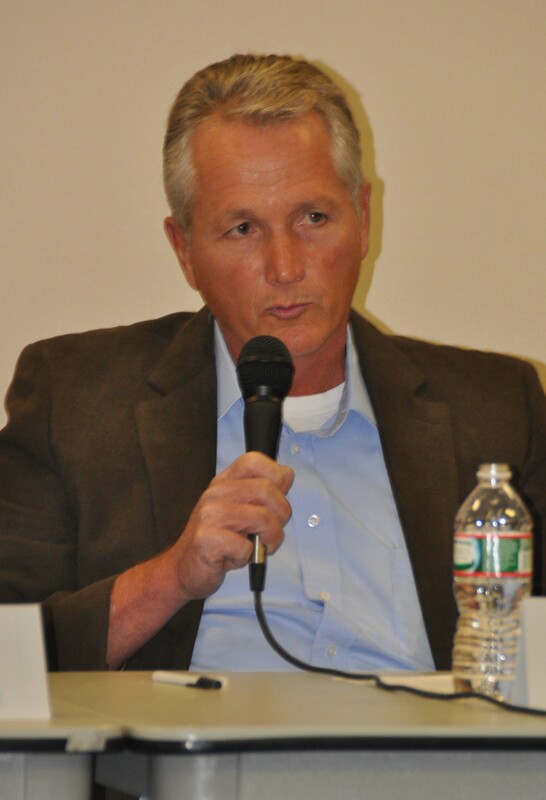 The forum was held on Aug. 21 at the Barnegat Branch. 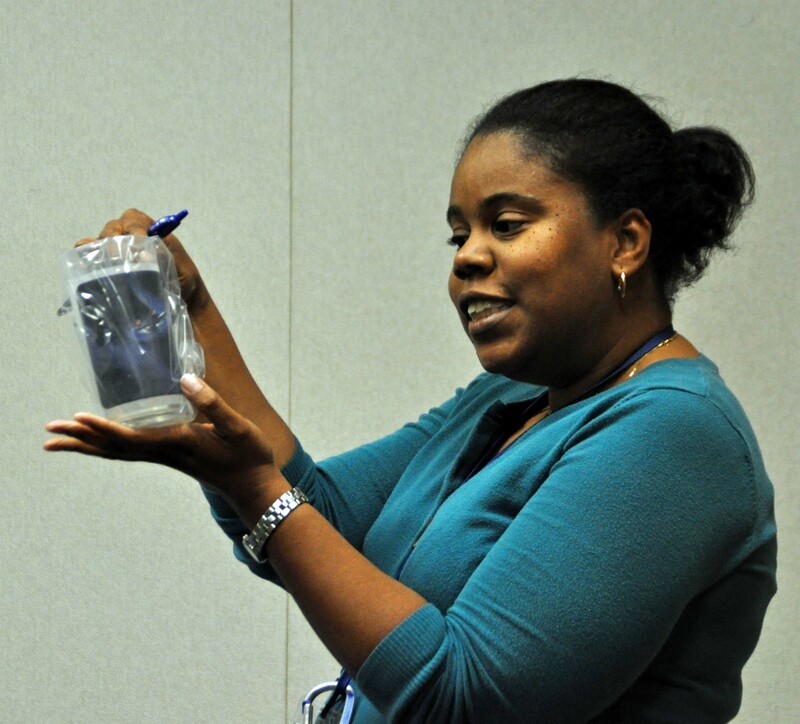 Barnegat Branch Manager Gigi Hayes holds up a Star Trek mug,which was among the prizes presented to participants of the “The Great Debate: Star Trek vs. Star Wars” during a program held at the Barnegat Branch on Aug. 21. The Complete Works of William Shakespeare (abridged) in 97 Minutes! TOMS RIVER – Ocean County Library will present a fast-paced romp through the Bard’s plays in “The Complete Works of William Shakespeare (abridged)” performed by The Toms River High School South Thespian Troupe. Join this hilarious troupe of talented young men as they irreverently weave their way through all of Shakespeare’s comedies, histories and tragedies in one wild ride: all 37 Plays in 97 Minutes! The Toms River High School South Thespian Troupe models the tradition of a Shakespearean Elizabethan traveling theatrical company, bringing its work into the community and touring with minimalistic setting, lighting and only three actors who will perform multiple roles. The production will be performed at five library branches throughout the summer from July 31 through August 14. All members of the public are welcome to attend these free performances. Jackson, 2 Jackson Dr., 732-928-4400 Thur. Aug. 14. 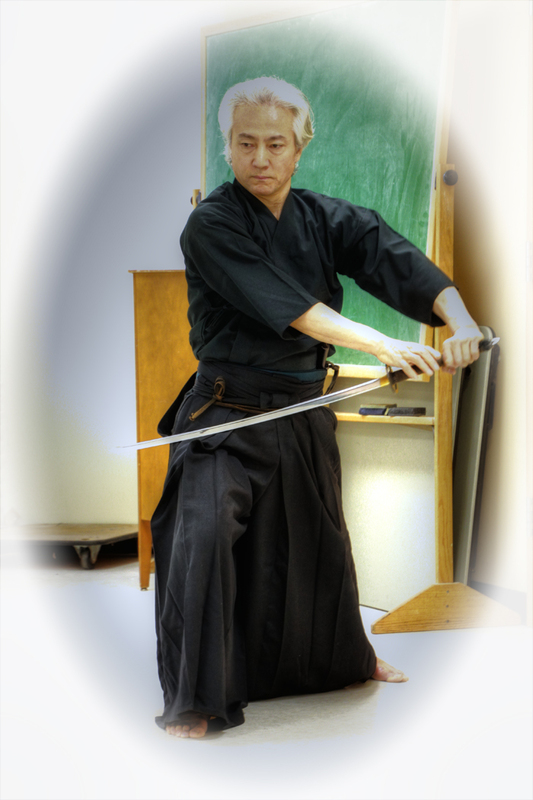 The programs are free and open to the public but registration is required. To register telephone the branch or go to the library Web site: http://www.theoceancountylibrary.org , click on the “Events & News” icon, then click on “Calendar of Events.” All performances begin promptly at 6:30 pm and there is no reserved seating.